A father walks into the market followed by his ten-year-old son. The kid is spinning a 25-cent piece in the air and catching it between his teeth. As they walk through the market someone bumps into the boy at just the wrong moment and the coin goes straight into his mouth and lodges in his throat. He immediately starts choking and going blue in the face and Dad starts panicking, shouting and screaming for help. A middle-aged, fairly unremarkable man in a gray suit is sitting at a coffee bar in the market reading his newspaper and sipping a cup of coffee. At the sound of the commotion he looks up, puts his coffee cup down on the saucer, neatly folds his newspaper and places it on the counter. He gets up from his seat and makes his unhurried way across the market. Reaching the boy (who is still standing, but only just) the man takes hold of the kid and squeezes gently but firmly. After a few seconds the boy coughs up the quarter, which the man catches in his free hand. Curtis & Leroy saw an ad in the Starkville Daily Newspaper in Starkville, MS and bought a mule for $100. The farmer agreed to deliver the mule the next day. The next morning the farmer drove up and said, "Sorry, fellows, I have some bad news, the mule died last night." Curtis replied, "well, then just give us our money back." 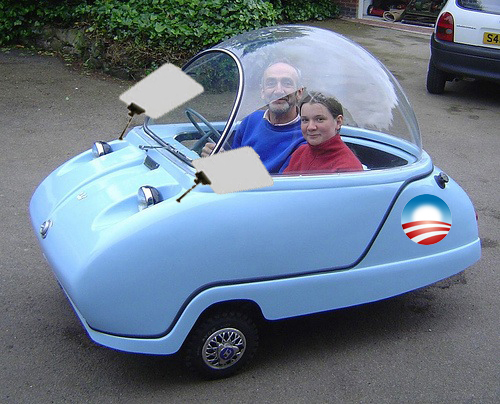 The New GM (Government Motors) Proudly Introduces The 2010 Obama! This car runs on hot air and broken promises. It has three wheels that speed the vehicle through tight left turns.It comes complete with two TelePrompters programmed to help the occupants talk their way out of any violations. The transparent canopy reveals the plastic smiles still on the faces of all the “happy” owners. This is a very sad story about a bear. Everybody should heed the warning to not feed wildlife because they become dependent and cannot forage for themselves anymore. This is such a tragedy to see what they have done to our country’s wildlife! The photo below captures a disturbing trend that is beginning to affect US wildlife . . . . 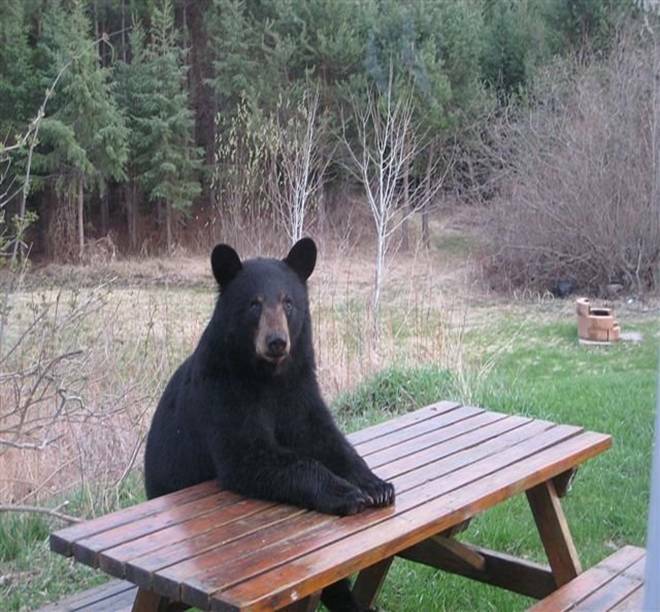 Animals that were formerly self-sufficient are now showing signs of belonging to the Democrat Party….. as they have apparently learned to just sit and wait for the government to step in and provide for their care and sustenance. As with any President, the fake bumper stickers complain about what is done or not done. This is a small sampling of fake bumper stickers.